Where Do Writers Get their Stories? I’m a longtime lover of light romance in a historical time frame. When I started writing my own stories, it was only natural that several of the novels in my Hearts in Hazard series would have more than a nod to the precursors who formed my love of the genre. The first HnH, A Game of Secrets, is my poor attempt at a smuggler’s story, à la Daphne Du Maurier’s Jamaica Inn. The Danger of Secrets is my homage to Georgette Heyer’s Cousin Kate. One of my upcoming books in the HnH series, The Key with Hearts, is forming itself around the same concept that formed Heyer’s The Convenient Wife. I hope I will make my own marriage-of-convenience story a bit more of a love story than Heyer’s—although her story is much more based in reality. And my marriage-of-convenience will be threatened not only by mistakes and missed opportunities but also the mystery of murder! My personal favorite by Heyer is Venetia, with The Unknown Ajax only a whisker behind. You can’t go wrong with either of those books. Both are excellent romances as well as light comedy, and Ajax goes one better by adding mystery and suspense to the story. Venetia, however, has characters that appeals just a little bit more. My recent published book, The Key for Spies, developed out of Georgette Heyer’s Regency era historical novels, where the main focus is on the events rather than the relationships–although the relationships will bring tears to your eyes and we readers have pleasurable meetings with old friends from other Heyer books. Over the years of reading everything Heyer, I have of course read her An Infamous Army, which concludes with her carefully researched depiction of the Battle of Waterloo, when Wellington and his allies finally and completely defeated Napoleon Bonaparte. AIA is a precursor for my K4Spies although it is not a direct inspiration. An Infamous Army is not one of Heyer’s light-hearted joys. More than anything else, it is an historical novel, and its meticulous detail is off-putting for many. I don’t remember my first reading of it. When I finally returned, with another decade of life behind me, I found a much greater understanding of Heyer’s story and much greater patience with her development of it. If you are a history buff, with Napoleon and Wellington in your sights, AIA is a wonderful source. The whole back half is a close depiction of the details of this significant battle. Heyer’s work is so well-researched, as many sources on the internet inform us, that the novel was required reading at Sandhurst, a British military college. Heyer was even invited to lecture at Sandhurst. Here is only one source ~ https://thebeaumonde.com/an-infamous-army/ . Many other sources abound: search Heyer, the title, and Sandhurst or military college, and the search engine will provide multiple sites for perusal. The original ideas swirling for my book, The Key for Spies, were soldier and Wellington. Those two words started my mind spinning. I had to discover the reason a British soldier would become a spy. Then comes the next question ~ When and where in the Regency era would a soldier need to be a spy? I knew of Wellington’s Peninsular campaign (thank you, Ms. Heyer), and so I dug a little bit, looking for soldiers not in battle. Research into reconnaissance planted the story in Spain, and everything else developed from there. Miri developed; her world developed around her. LeCuyer sprang forth, and then Jesus, Angelo, and the other guerrillas. Elixane sprang into the story around chapter 10, necessitating going back and adding her at earlier places. I have enjoyed my journey with K4Spies. I have researched plants for gardens–jacarandas and cypress walks. I’ve explored new house plans and new recipes. The dinner party Miri unwillingly hosts for the French officers is a dinner that I want to have. I have also become enamored of the afternoon siesta and wistful about breakfast on the terrace, with lots and lots of coffee. 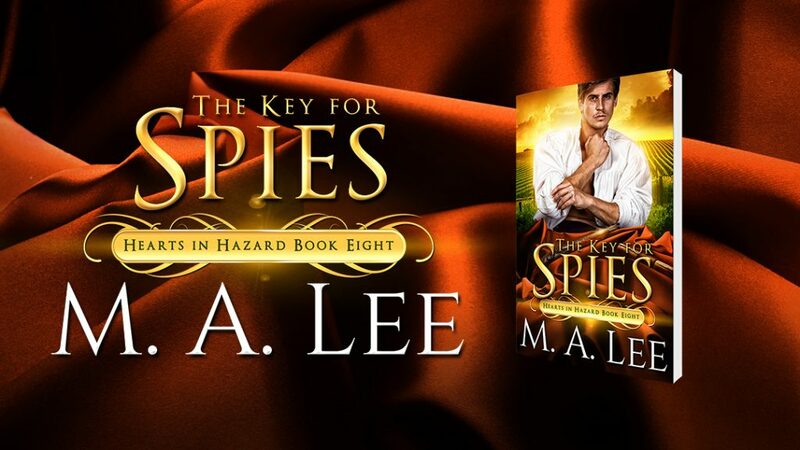 I hope you will explore the world of The Key for Spies and enjoy my journey—and do try a few of the dishes as well.